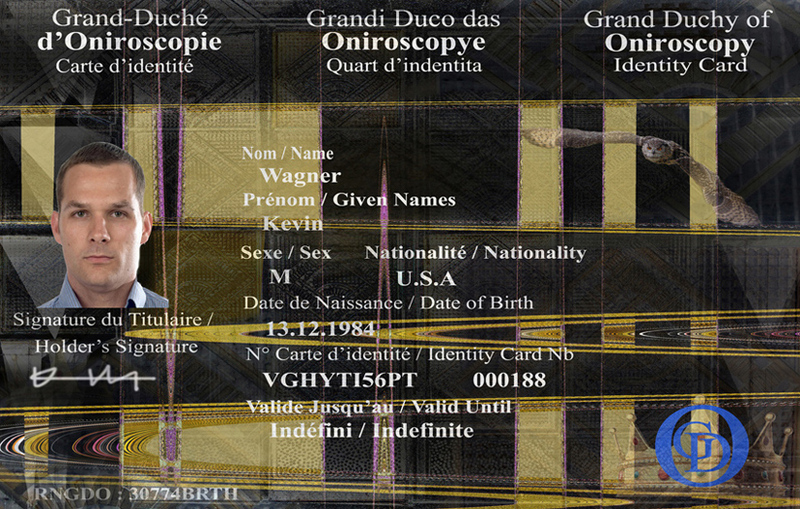 Identity Card of Grand Duchy of Oniroscopy - Site de grand-duche-doniroscopie ! The identity card of the Grand Duchy of Oniroscopy. The identity card of the Grand Duchy of Oniroscopy is a work of art made and certified by San Damon. He created this unique concept in the world by incorporating two of his works of art (recto-verso) in an identity card of a country which he created. 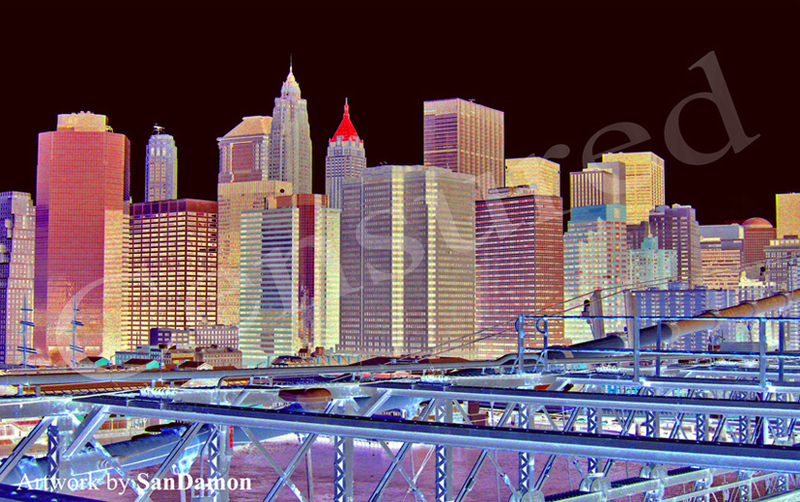 Oniroscopism is a photographic process created in 2004 by San Damon.It is therefore the only one to be able to use this silver process where each color has 32 shades. It has just created a virtual country _ a world first, resulting from its process and artistic movement, the Grand Duchy of Oniroscopy. His artworks, as you know, are in different museums and more than 54 great intellectuals and academics talk about it in several documentary films (see on this site). The Grand Duchy of Oniroscopy is destined to expand in different forms. This virtual country is deposited by San Damon under deposit. The procedure for obtaining an identity card of the Grand Duchy of Oniroscopy is simple, you choose a work below and you raise the number. All your personal data will be completely destroyed after having made the identity card (law of 8 December 1992 on privacy). This identity card is a work of art and can not be copied in any form whatsoever. From then on the secure payment received, you will receive your personal identity card by postal mail. We propose you to make a initials, different and imaginative in place and place of your usual signature. This will be safer and more very original. But you can, if you wish, send us your signature by PDF. We systematically destroy all your data except the serial number U.I.D. Specific to our identity card and which enable us to verify that there are no thefts or copies of the works of art by San Damon that are on this identity card. This identity card is a work of art and can not be copied in any form whatsoever under penalty of prosecution. We decline any responsibility towards those who send us false coordinates or identity photos. This is a copy of the identity card Of the Grand Duchy of Oniroscopy. Its format conforms to the photographic works on the back.